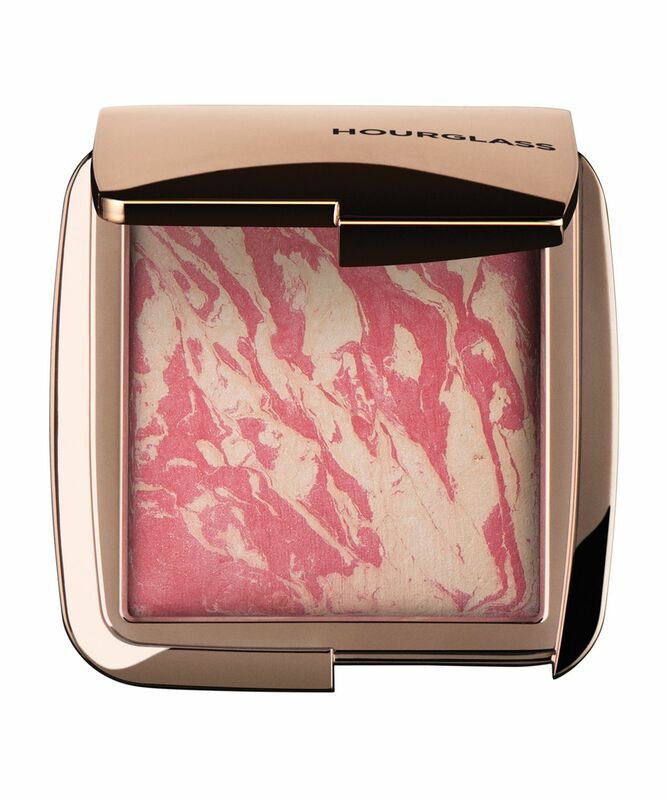 For a flawless flush that will never fall flat, Hourglass has devised an irresistible new way to blush: Ambient Lighting Blush. This ground-breaking hybrid fuses the universally flattering radiance of the brand’s beloved Ambient Lighting Powder with vivid, uplifting colour to provide a seamless, soft-focus finish. The handmade, magnificently marbled pans are formulated using an advanced ‘miscelare’ technique (which means ‘to mix’ in Italian) creating the perfect balance of pigment and powder, enhanced with ‘Photoluminescent Technology’ to maintain vibrancy, depth and dimension. Beautifully buildable, you’re sure to be seduced by at least one of the eight sumptuous shades: there’s ‘Diffused Heat’, a vibrant poppy combined with ‘Diffused Light’ Ambient Lighting Powder; ‘Dim Infusion’, a subdued coral fused with ‘Dim Light’ to add warmth; ‘Ethereal Glow’, a cool pink blush united with ‘Ethereal Light’ for moonlit luminosity; ‘Luminous Flush’, a champagne rose blush combined with ‘Luminous Light’ to evoke a candlelit glimmer; ‘Mood Exposure’, a soft plum blush fused with ‘Mood Light’ to brighten the complexion; ‘Radiant Magenta’, a golden fuchsia blush combined with ‘Radiant Light’ for a summery glow, ‘Incandescent Electra’, a cool peach blush blended with ‘Incandescent Strobe Light’ for a celestial, radiant finish and, finally, the brand new and limited edition shade of 'Vivid Flush' a bright petal pink fused with a medium rose for a natural looking glow, to celebrate the Year of the Pig and the Lunar New Year . Oh, glow on then! Swirl the entire compact with your brush to pick up the perfect balance of pigment and powder. I have Mood Exposure, Dim Infusion and Luminous Flush. I am a sucker for high quality blushers and do not shy away even if they are expensive. I have not touched my other blushers since I have got hourglass blushers ( my collection includes, Chanel, By Terry, Tarte and now hourglass). I feel Mood Exposure deserves place in every blush lover's collection. This shade looks beautiful on everyone. Now planing to buy Mood light ambient light powder to use as topper for all my other blushers to get hourglass finish. I am a total blush addict and absolutely love this product! I bought Dim Infusion, which gives such an incredible, beautiful warmth to my cheeks. Just a light dusting is enough - this is so pigmented and finely milled, it feels like gossamer on the skin. It is easily build able if you want more colour and blends so effortlessly. I’m going to buy Incandescent Electra and Luminous Flush next. I’m sure I’ll end up adding Magenta to my blush collection too. These blushers are amazing and will not disappoint. Pigmented, finely milled, blend like a dream and make the skin look amazing with an ambient glow to the cheeks. AMAZING BLUSHERS! Like a filter/soft lighting on the face! I have a few of these blushes now radiant magenta being my favourite. They are lovely! They are my go to blusher! I absolutely adore them. I can imagine hoarding blushes from brands like MAC which have an extensive range, but, never knew I would end up liking Hourglass blushes so much, that I would end up having 5 out of 7 shades from their permanent line. I'm NC 37-40 and cannot live without their Radiant Magenta, diffused heat and mood exposure. They give my face instant glow without any highlighter. 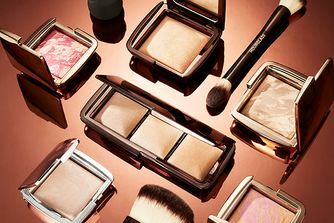 The reason being, all blushes have the mix of highlighter and colour. You have to try it to believe it. I bought this item in the "etheral glow" shade. Unfortunately I was disappointed with the product. The percentage of rosy pigment was low when compared with the white slightly highlighted powder. As a result, it does not work for me as a blush but rather as a powder. Also the small amount of pigment does not pop up in anyway on my light/fair skin tone. Maybe this is not a suitable colour for me, but the lack of pigment does not help. Love this product! It is the perfect color as well as consistency, very buildable and so pretty! It can be applied as a subtle glowy flush or a full on blush, and makes your skin look glowy and healthy. 10/10 would buy again! This blush (I bought Mood Exposure) beats every blush in my make up drawer. Super blendable, long wear, beautiful colour. I purchased luminous flush, incandescent Electra and mood exposure after having a positive experience with the ambient lighting palette. This exceeded my already pretty high expectations: they build beautifully so you can layer until you reach your desired look and also blend beautifully if you get a bit too enthusiastic with the layering! The blushers have enough pigment that you can tell the difference between the pink, coral, and mauve when swatched and when on the face, but aren't so pigmented that when you place your brush to your cheek they deposit an insane amount of colour. I have medium-tan skin and find I have to dip into these two or three times to get the amount of colour pay off I'm happy with. I find these to be foolproof and because they are mixed with the Ambient light face powders- it gives off such a beautiful, ethereal look. Other blushes wear off on me throughout the day, but these stick around on me until I’m ready to take off my makeup; the lasting power is phenomenal. I love topping my matte blush with these to bring them to life, love mixing the three shades together, love wearing them individually. It’s just a phenomenal product that adds a healthy bonne mine glow to the face yet manages to look effortless and natural at the same time. 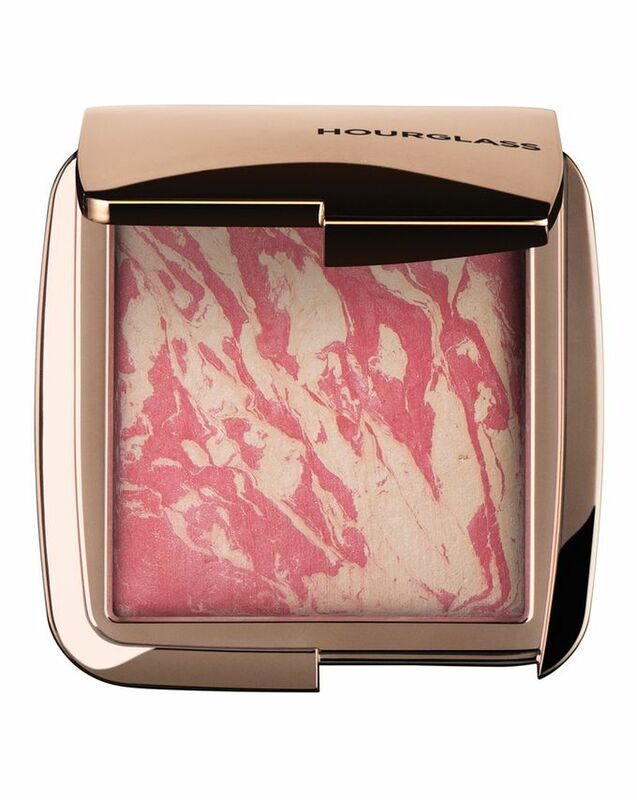 I am obsessed with hourglass blushes!! I have Luminous Flush and Mood Exposure. I also have two of the strobe ones, Incandescent Electra and Iridescent Flash. They are all so pigmented and finely milled and will last forever! Such beautiful blushes and very easy to blend.